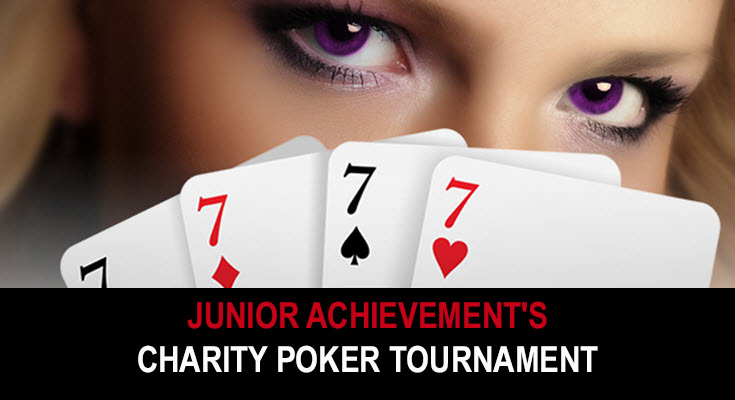 For the seventh year in a row, Junior Achievement (JA) of Southern Nevada held on Sunday, June 11 its Charity Poker Tournament at Planet Hollywood. This tournament usually attracts poker professionals, aspiring players and viewers. More than 200 players were expected to register. The grand prize winner scored either a seat at the World Series of Poker’s Main Event this summer at Rio All-Suites Hotel and Casino (a $10,000 value) or $7,500 cash option, winner choice. For 2nd through 10th place prizes included cash, show tickets and dinner packages. Relying entirely on donations and grant funding, Junior Achievement operates numerous programs in Southern Nevada to help more than 20,000 students in at-risk areas learn everything from budget management to economic principles in primary schools, and works with them to develop skills for the workplace. Around 80 percent of participating students live at or below the poverty line, and the organization fills a critical need. Business partners in different industries volunteer their time to teach the programs. Texas Hold ‘em was the main game. This variation of poker enables a large group of people to play at once with the focus on both cards and betting. Players enjoyed drinks and gourmet food prepared by Planet Hollywood Resort and Casino with exclusive access to the VIP Party. Participants could also enjoy a front row seat for all the action without playing in the Tournament and bid in a silent auction without even attending the event, through either their cell phones or on-site systems.